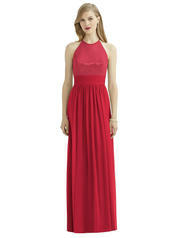 Full length sleeveless lux chiffon dress has halter neckline and open back. 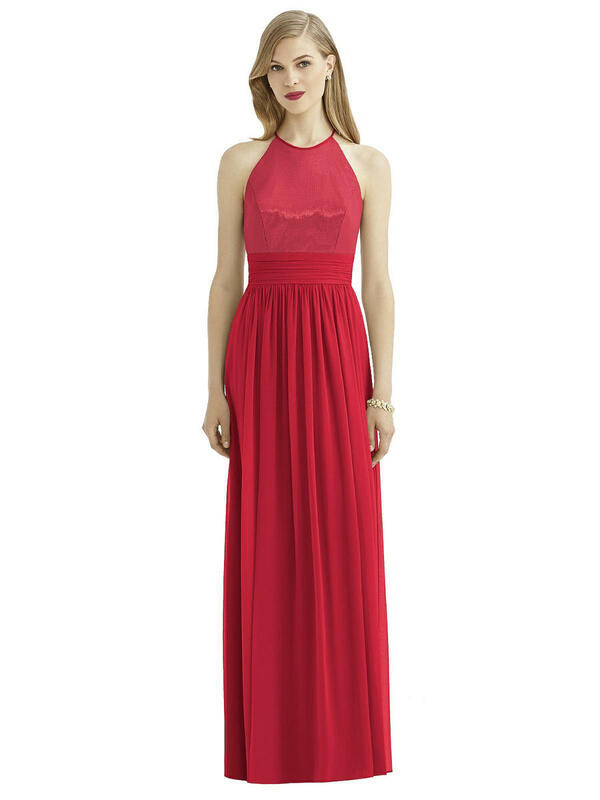 Bodice is lux chiffon over sequin. Shirred inset waistband and shirred skirt.